Master Collection Acid Etched Dragon Knife | BUDK.com - Knives & Swords At The Lowest Prices! Master Collection has done it again with its Acid Etched Dragon assisted opening pocket knife! It’s a real beauty and definitely a showpieces, as well as, a tough and reliable everyday carry. 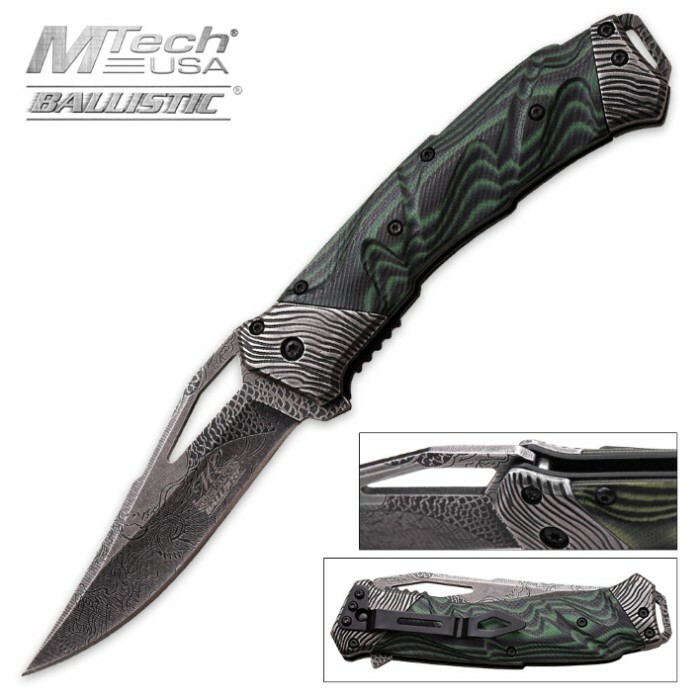 It has 3 1/2” stainless steel blade that has an acid etched dragon, which really sets it apart from other knife blades. It has a durable G-10 handle that gives you a secure grip and is two-toned. It also has stainless steel bolsters and a pocket clip. It is 5” closed and you have a choice of black and green or orange and green.